Kalifa is a leather craftsman, who has been a member of Tigoung Nonma since its creation in 2005. He is married with 4 children under the age of 10, all of whom are boys. He says that he has seen great improvement in the lives of himself and his family since joining Tigoung Nonma, who have given him business training and helped him to find orders. Although he has never had any formal education, Kalifa managed to pass 'CEP' (Certificate of Primary Education) in 2007, through attending evening classes, which means he has reached the same level of education as a pupil about to start secondary school. Kalifa lives about half a kilometer from his rented workshop in 'Bilbalgo', where he works in association with another artisan and has several apprentices. 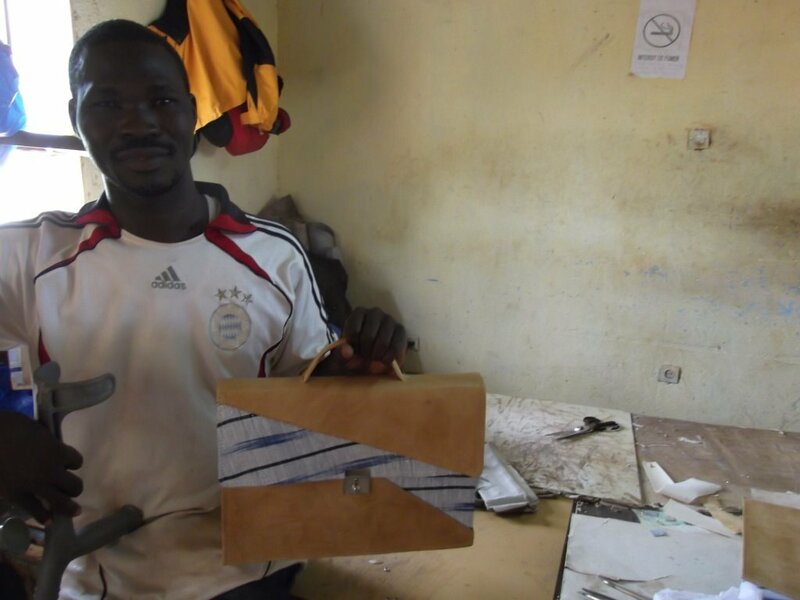 It takes him about a day to create a leather bag that can be sold for about 12,500 CFA.